OPINION: The tone about Meghan Markle and her baby is sinister, anti-woman, and racist. In August 2018, just a few months after the royal wedding of Prince Harry and Ms. Meghan Markle gripped the world, I wrote that the honeymoon period for the Duchess of Sussex was over before it ever began. Almost a year since that sunny wedding in Windsor, things have become worse, and the general atmosphere around the majority of reports about the Duchess of Sussex has become indescribably hostile and toxic, with an unavoidable underlying tone of racism and anti-woman — misogynistic — attitudes. During pregnancy, between 4–20% of women suffer prenatal depression in a time that should be stress-free and comfortable. The rates of post-natal depression shoot up to about 30% of women, a severely difficult mental health issue to face when dealing with a lifechanging arrival in your life. Now imagine balancing the probabilities of suffering either of those unavoidable issues whilst being told that every decision you make about your own body and your own baby are wrong. Imagine being told that you should have zero choice over how you deliver your baby, where you deliver it, and imagine being told you have to stand in front of hundreds of flashing cameras just hours after that birth, knowing your face would inevitably be plastered on every magazine, every newspaper and every social media feed instantly. How traumatic would that be for you? Imagine giving birth to your beautiful baby, something you have raised inside of you for 9 months, a human you have felt every punch, kick, hiccup and wiggle from for around 280 days, something that shares 50% of your DNA and 50% of your partner’s, to be told that your baby isn’t yours — that your baby ‘belongs’ to the country, to strangers, and not yourself. Now imagine millions of people being told the same thing, that your baby isn’t actually yours, and that your baby belongs to them. Imagine millions of people being told about your wish for privacy with a slant suggesting it to be rude or a ‘break from tradition’, imagine thousands of trolls on social media slandering you with every minute to blast your pregnancy as fake. Imagine being a woman in the United Kingdom in 2019 and being told on national television that you deserve no choice in your pregnancy. Finally, imagine most of your personal family — the family you share blood with — breaking with the most destructive and selfish force possible any bridges you had with them, exploiting you for money at every single opportunity for months and months, sharing your private messages to papers and vilifying you on international TV. 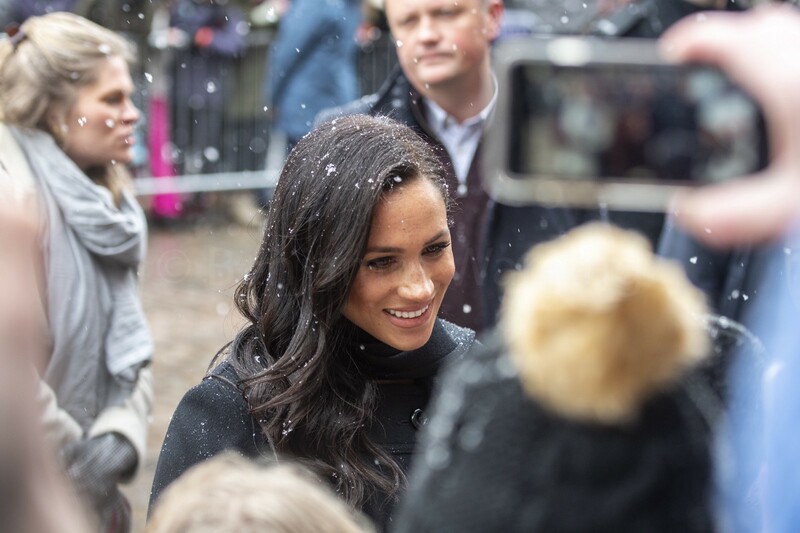 If you type ‘Meghan Markle’ into Google and scroll through the countless articles, you will soon become accustomed to the capitalised trigger words used by certain tabloids in their headlines. ‘BOMBSHELL’, ‘SHOCK’, and ‘REVELATION’ have been a theme for the past few days since the royal couple released a statement outlining their wish for privacy in what will be a life-changing and incomprehensibly emotional time, using ‘bombshell’ to make the news seem aggressive and potent, ‘shock’ as though a woman’s own choice is really so shocking, and ‘revelation’ to attempt to justify an intrusion into the Duchess’ privacy. It really is a sad reality that almost all of us know a woman who has been pregnant and who was subjected to an onslaught of unwelcome and uncomfortable conversations, judgements on their decisions and tireless speculations around how they planned to give birth. To belittle a woman down to how she expects to give birth, and only that, is dehumanising and objectifying. Coupled with the underlying racist tone attached with a saddening amount of articles, and you create a persistent and clear, unfiltered hatred of Meghan Markle as a person. For no reason. 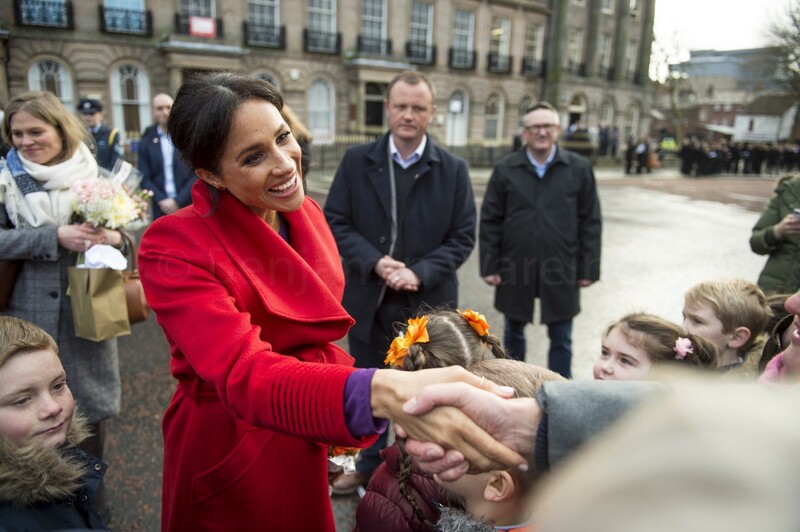 You ignore the endless charitable work of her past and present, her outreach to the young people of the UK and the Commonwealth, and reject the positivity the Duke and Duchess of Sussex have spread across the world since their joining. The Duchess of Sussex’ choices should be respected, as should any woman’s, without argument or belittlement. But to some, and as depressing a reality as it is, that really doesn’t matter. Because she is ‘their property’, and to them they own her body, her choices, her emotions and her existence. The tone about Meghan Markle and her baby is sinister, anti-woman, and racist. Next time you want to entertain a negative thought towards anyone, including the Duchess of Sussex, put yourself in her shoes; how traumatic would that be for you? Please consider donating to a number of charities supported by the Duke and Duchess of Sussex, such as Camfed, WellChild, and Mayhew under #GlobalSussexBabyShower. You can keep up to date with my royal photography, news and analysis on my Twitter: @BenjaminWareing or Instagram: @BritishJourno.